The 10 Best Hotels and Resorts for Families in Rhode Island! If you’re taking the family for a vacation in Rhode Island, you’re going to need to book your stay in a place that accommodates everyone in the family. Fortunately the Ocean State offers excellent spots with amenities like game rooms and kid’s breakfasts for the little ones, and relaxing bars and private beaches for Mom and Dad. Here are the best hotels and resorts for families in Rhode Island. An ideal choice for families who want a luxurious stay but space to spread out, the Vanderbilt Grace has plenty of lofts and suites perfectly suited to your family’s needs. Not too far of a car ride from the Cliff Walk and the beautiful Newport Mansions is this family-friendly hotel. Their restaurant, The Bistro, is casual enough for kids but nice enough that adults will enjoy it, too. You’ll also love the indoor and outdoor pools! During your stay, the kids can become a part of the Viking Kids Club! This complimentary program offers local discounts and on-site activities, like poolside entertainment—which kids can enjoy as parents are getting their relaxation on. Explore all of Narragansett’s charm while staying at the Lighthouse Inn, named after the nearby Point Judith Lighthouse. Enjoy amenities like an indoor swimming pool, spa, bar, and arcade and game room. You’ll be at a central location to access all of Southern Rhode Island’s best attractions, like Narragansett Bay and Newport. You’re just a quick ferry ride from Block Island, too! Located along America’s Cup Avenue, the Newport Harbor Hotel is a great place to let the family run free. In the winter, get a discount on outdoor ice skating, and during the summer head out to explore Fort Adams park. The hotel also has free kids’ breakfasts. For 46 years, the same family has owned this charming resort. Bring along a picnic basket and enjoy the resort’s private beach. In the morning, you’ll enjoy the complimentary breakfast. 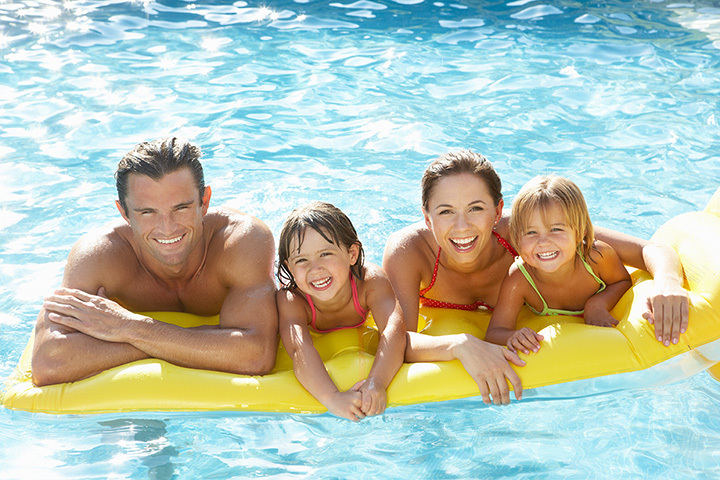 Kids can play in the swimming pool, playground, or shuffleboard court. Just a few feet from the Misquamicut State Beach, the Pleasant View Inn is the place to go if you love the ocean! Each room offers a balcony or patio with ocean or pool views. Kids will enjoy the game room and adults will love sitting beside the ocean during meals. Staff will love treating you and your family to a luxurious boutique hotel experience! Let your kids spread out in your guestroom, and explore around downtown’s theatre district, which is just outside the hotel’s doors. Friendly to both kids and adults, the Providence Marriott downtown is a great place for families to stay! You’ll love the clean, not-too-crowded pool, which is the biggest indoor pool in the area!